A reflection on poetry and me. I didn’t know that so many poetry lovers would find their way to us. With it being the 5th of January, I expected the city to still be in holiday, ghost-mode for at least another week and yet, we had a full house. 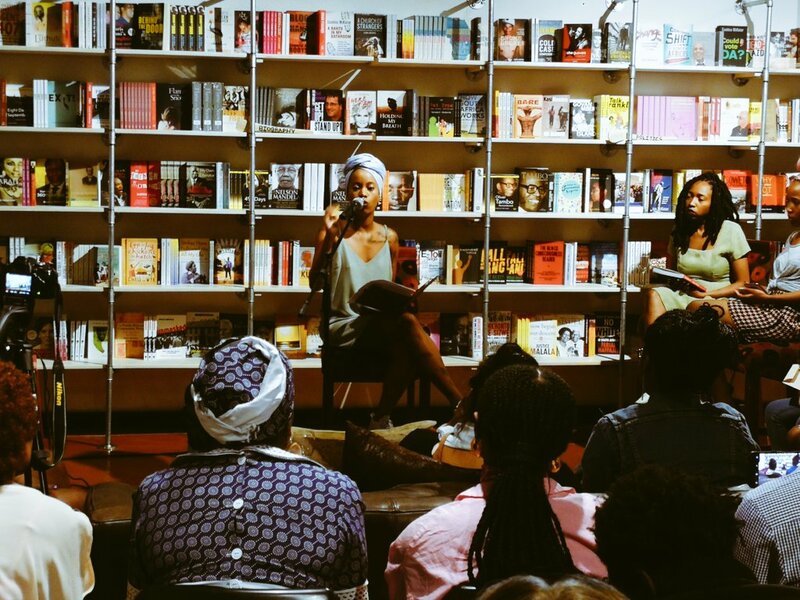 We held the BornFree poetry reading last Friday evening at African Flavour Books in Braamfontein with the organiser, Belinda Zhawi, Katleho Kano Shoro and I on the line-up. We first performed together at the Institute of Contemporary Art in London in May so it was really special to have another gathering in our home country and to watch how beautifully Shoro incorporated her nieces into her set. 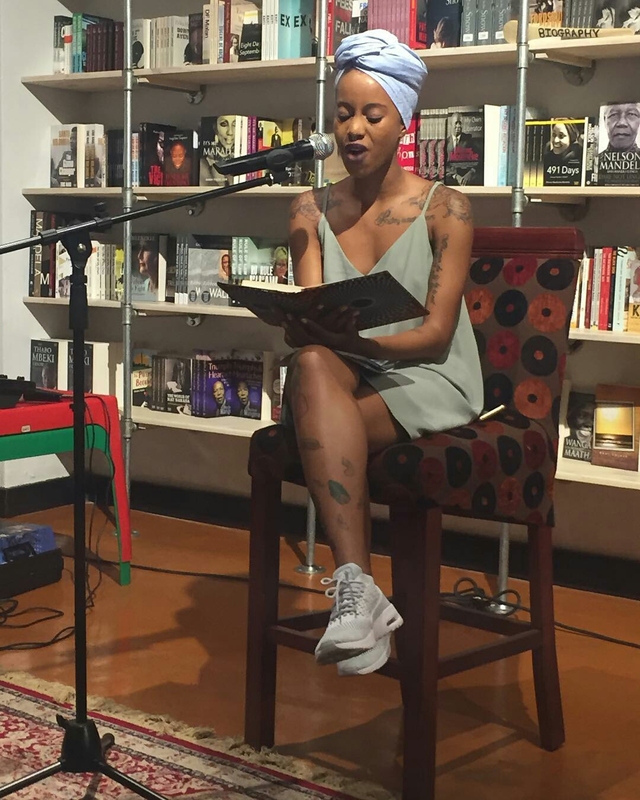 This was my first reading in the country in a long while. I’ve been immensely busy with my other projects and I have wanted to just take a break from the spectacle of it all. I had become weary of being seen. Many of my poems are about sadness and romantic relationships gone horribly wrong. It had become harrowing to be on social media and have people tag me in quotes of their favourite lines because it could easily alter my mood negatively, because of the memories. I was trying to breathe through my life and just become well in my mind and heart and the biggest deterrent to that were my own words. Funny how that works. I had sat in that exact same spot a few weeks ago and had an interview in which I spoke about how I’m starting to be at odds with reading work that I wrote a few years ago, it’s themes and the effect it has on me to constantly reach back and reiterate the dark moments. At a time, this poetry saved my life. I just think my spirit is starting to move beyond, in this time. 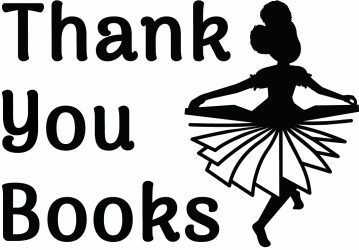 The audience was kind, attentive and affirming. We shared a few laughs and it was immensely enjoyable yet it was a somewhat difficult reading because the words hurt leaving my body. It was strange. I was seated throughout. I appreciated each moment and how the words would travel around the room, reaching people in particular places and yet I was visibly uncomfortable. I told the audience a few times how tiring it was because it felt like a space in which I could be honest in that way. I was fascinated by the physical exertion it took for those words to make it out of my mouth. I felt like my body, mind & spirit had fortified themselves in service of my wellbeing or, it was just a signal that ya boy should write new poems. Either way, I’m listening. The Q&A section was interesting. I’ll expand on the responses that I gave, here. The one question that was addressed to me was about my devices; how music is one of them, how lyrical my work is and whether I’ll ever use any other devices. My work reflects music because that’s what I use to survive this life. My poetry has always been a way for me to get over, primarily. I write because I need to; often no more and no less. Music is a device in my work because it is a device in my life. Will I ever find anything more powerful? I’m open to discover that. I also think that writing for children is a way of writing differently. In my world, all of my writing comes from the same place so the children’s book is the next frontier within the same vein of poetry. Lately I have been thinking on this great desire I have to be productive: to go beyond my work being a space of shared pain and healing, and to manifest other more joyous and celebratory ways of gathering. That’s exactly what Mpumi’s Magic Beads is. The entire project is my way of being more imaginative, daring and expansive than I have ever been. This is how I ascend. Another question was about language and whether I do not feel “mentally colonised” by choosing to work in English. It’s a question that irritates me (I have been doing poetry Q&As for a long time, trust me) but I answer it any way. Colonisation has done many, irreversible things to Africa including changing the dynamics around what credence particular languages are given in the public. I write, dream and work in English – this is a fact of my upbringing. 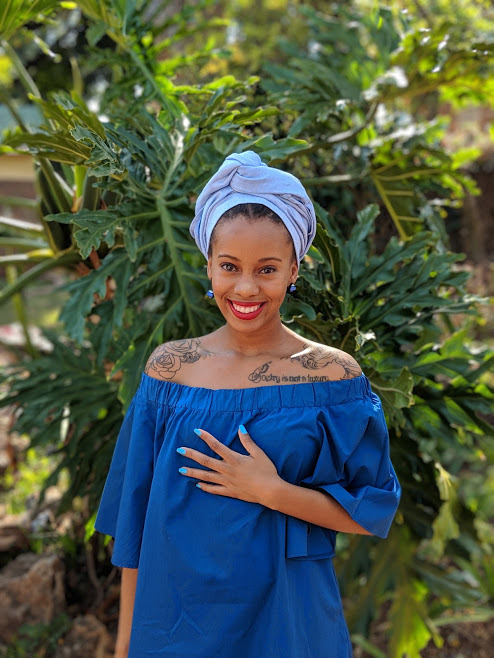 This is a fact of my primary school that hired a white woman to teach us Sepedi and refused our corrections because she was raised on a farm with African workers. I speak my home languages easily but having the proficiency to write in a language to the extent of being a poet is another matter altogether. I’m not willing to short-change myself or my work with those deficiencies. Am I embarrassed in any way? Absolutely not. I’m proud of my work and my abilities. I am exactly where I am supposed to be, doing exactly what I need to be doing. Funny thing, after the reading, someone stopped me and spoke in a tone that heavily conveyed his disappointment at my lack of shame in not working in an indigenous language. The truth is, I don’t care. I don’t lose sleep at night. We all have our purpose and our paths. There are those who have an unyielding passion for preserving our languages through their work and just as they have their place in this vast creative landscape, so do I. I am very intentional about my work reflecting my reality. It’s necessary that I always remain authentic instead of being a parody of an essentialised version of other identities. 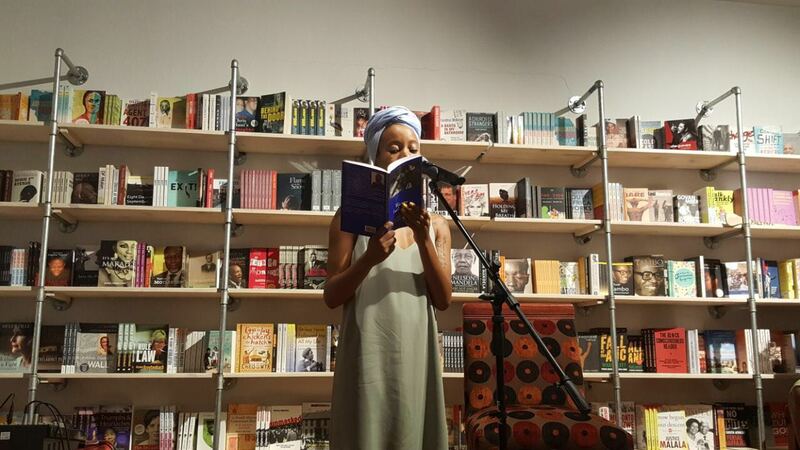 There is no one way to be an African poet. There are many and this is mine. 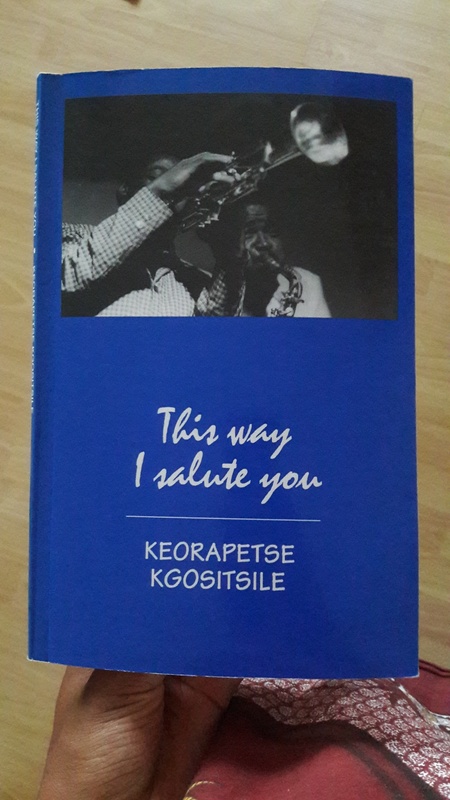 I concluded by reading from Professor Keorapetse Kgositsile‘s This Way I Salute You, a book of poetic odes to creative peers such as Hugh Masekela, Nina Simone and John Coltrane. The great, intellectual left us on 3 January 2018. He was a bridge between the generations of creative thinkers in this country. He was always supportive while also remaining critical of bad work. He was an important force in Hip Hop, in the struggle for liberation and in South Africa as a whole. May our National Poet Laureate rest in paradise. Thank you, Belinda for your warm invitation to share stages with you. Previous PostPrevious So good to be with you, 2018!